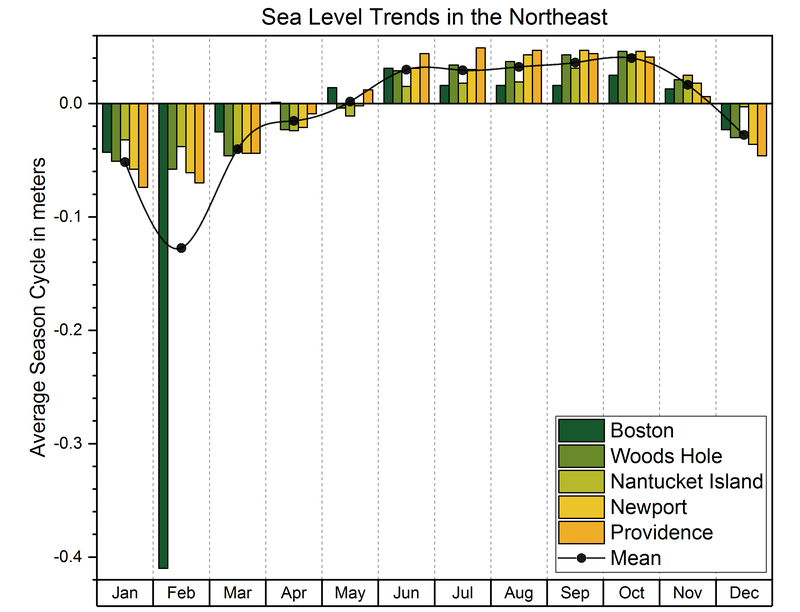 In the figure below I have plotted a group column plot to compare sea level trends for different cities in the Northeast per month. A line-symbol plot has also been added to show the mean average sea level change per month. The blog demonstrates an easier way to use context menu in Object Manager to add the mean value to a group plot in Origin 2019. Note: If you have Origin 2018b or Older, there isn’t such context menu in Object Manager. 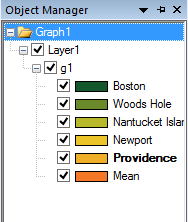 The best approach for adding the mean values to the graph is through Layer contents dialog. 4. 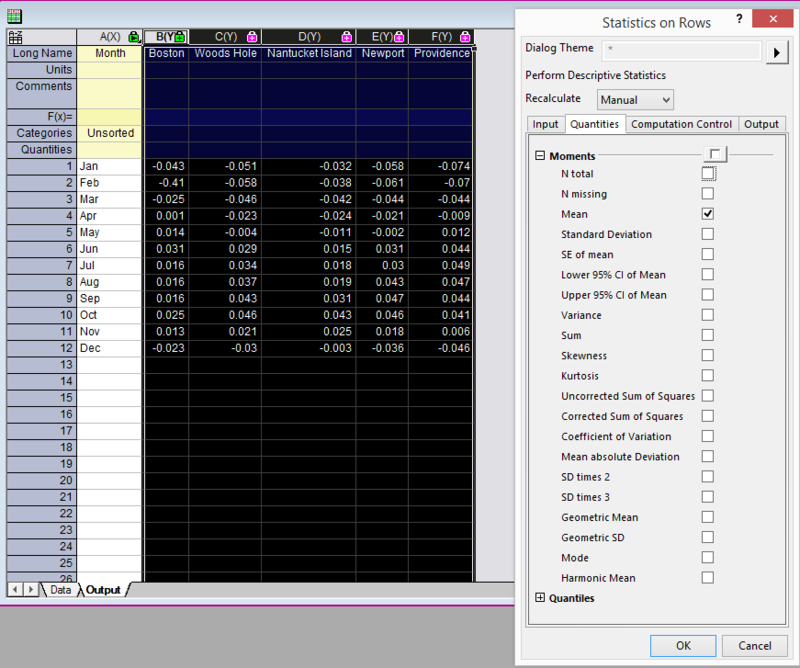 With the Statistics on Rows Dialog open in the Input tab, Select the Y Data Range Col(B):Col(F). 5. With the Statistics on Rows Dialog still open, Select the Quantities tab and Select Mean (Unselect all other quantities). 6. In this example, I have deleted the text in Comments in Col(G). To import the calculated Mean data into the Graph: Highlight col(G) and drag the data into Graph 1. You will notice that the Mean data is automatically grouped with the grouped-column plot. The following steps will describe how to move the Mean dataset out of the Grouped-Column data and set the Mean data to plot as a line-symbol plot. 5. 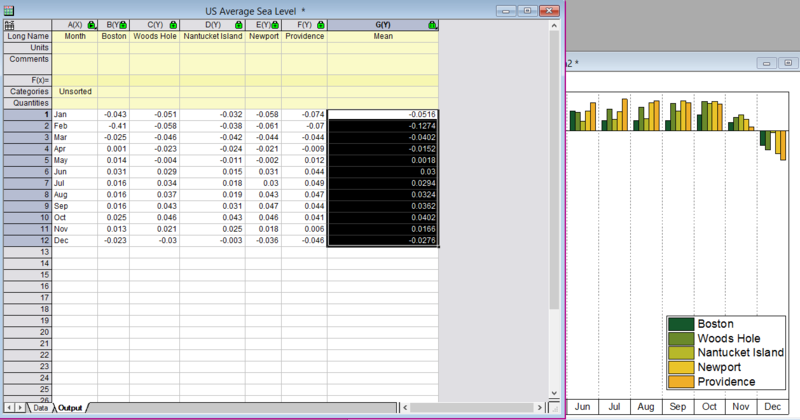 In the Object Manager right-click Providence (the dataset above Mean). 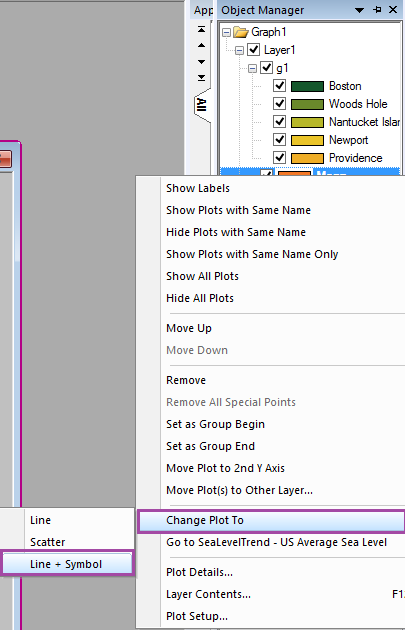 Select Set as Group End. 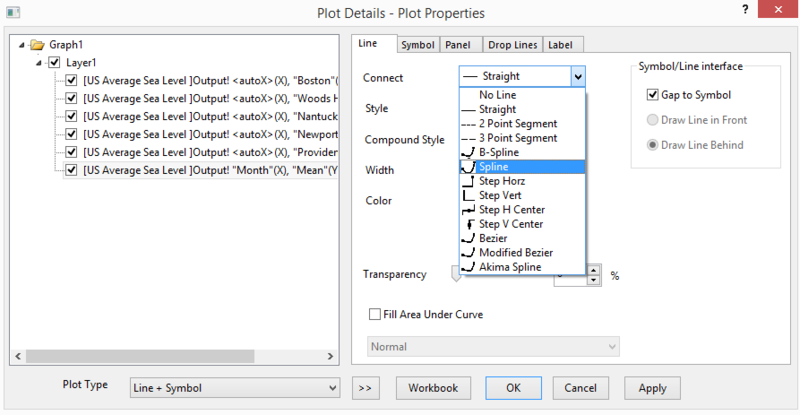 Now that the the plot is setup, you can go ahead and edit the Grouped Column plot and Mean plot. In this example, I have made changes to the Mean plot so that the Symbol type is set to circle and the Connected Line is set to Spline.